Custom designed for the Autodromo Stradale watch, our proprietary ribbed leather straps are inspired by the look and feel of vintage car interiors. Available in 18mm lug width, complete with polished signed stainless steel buckle, these genuine leather straps are available to customize your Stradale or any other vintage watch in your collection with 18mm lugs. 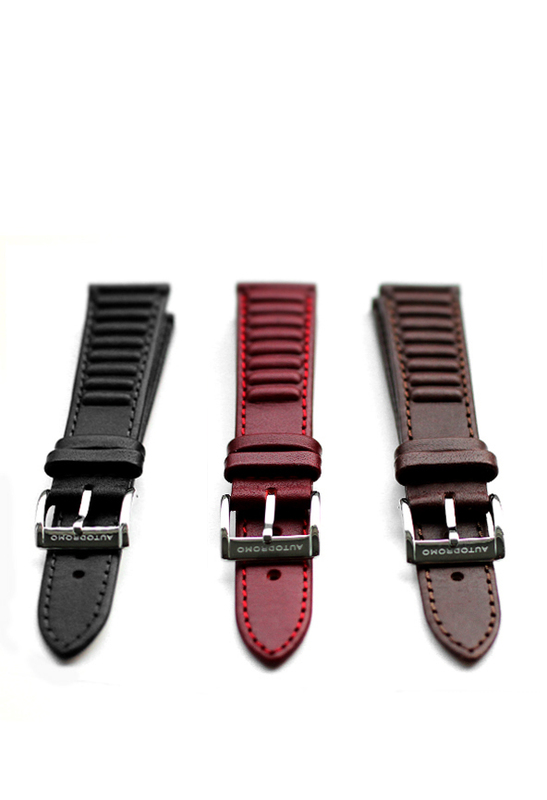 Choose between Black, Burgundy, and Brown leather.